We've featured examples of the art from talented graphic artist Sakiroo Choi (@sakirro) in a few of our Art of Football pieces here on FootyFair before, but his outstanding work deserves a page of it's own. 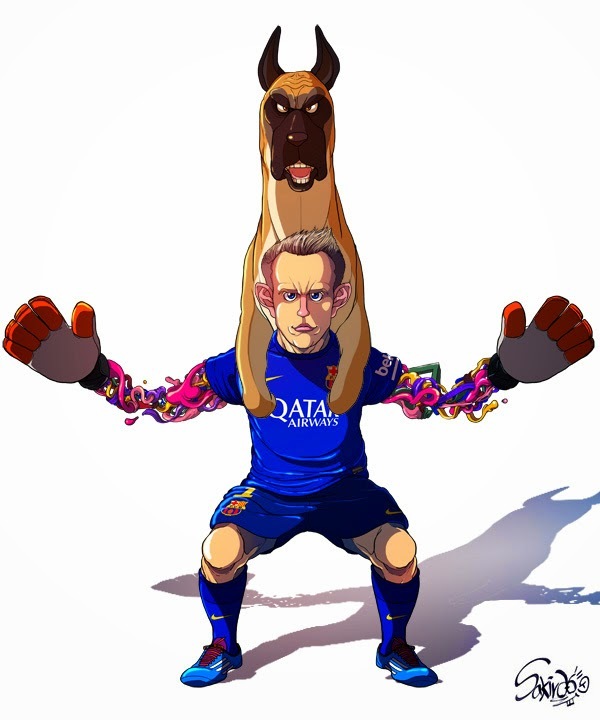 This week he posted up his unique take on a few of the stars of Barcelona, that fans of the club would certainly like to have on their walls. 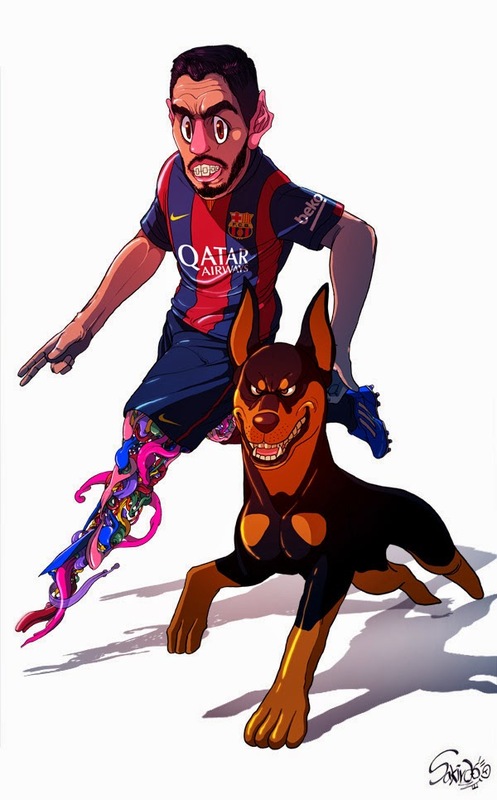 His use of vibrant colours, cartoon likenesses and abstract concepts in my humble opinion contributes greatly to him being one of the more interesting artists out there that does a lot of football related art.